One thing all LAKE FOREST car owners can do to extend the life of their battery is to keep it clean. A greasy, dirty battery holds in damaging heat. Same goes for removing corrosion from the terminals. West Coast Rovers can help maintain your battery. Here’s an interesting statistic for our drivers in LAKE FOREST, CA: Only thirty percent of car batteries make it to forty-eight months. And the life expectancy varies by where you live. It ranges from fifty-one months in extremely cold areas to just thirty months in extremely hot climates. It’s clear that you LAKE FOREST motorists need to recharge your batteries. This is the job of the alternator. The problem comes when the car’s demand for electricity is high and we are driving in stop and go conditions or short trips around LAKE FOREST or El Toro. The alternator just can’t keep up. The result is shortened battery life. So what can we LAKE FOREST car owners do to improve our battery’s health? We need to keep the battery as close to a full charge as possible. That can be hard because sitting for just twenty-four hours in hot weather between charges can be too long. When the weather’s cold in LAKE FOREST, sitting for several days will cause discharge. So some highway driving between LAKE FOREST or Irvine will help keep a full charge if the battery has not been deeply depleted. Car batteries are not designed to be run down really low, or deep cycled, as it’s called. So using your headlights or other power accessories when the car is off can deeply deplete your battery. Using the alternator to recharge from a deeply depleted state is also very harmful to your battery because it charges too fast. In fact, on average, your battery would only last for ten recharges like that. If you do find yourself with a dead battery or very low battery, use a good quality battery charger to slowly bring the battery up to full charge. Follow the instructions on the charger or talk to your thoughtful West Coast Rovers technician. Because our batteries are so often at less than a full charge, the experts at West Coast Rovers suggest that we use a battery charger from time to time to keep the charge up. They recommend once a month during hot weather and once every three months during colder times. Now, a key word on safety for LAKE FOREST drivers. Batteries contain sulfuric acid that can severely burn your skin and could blind you. If you find yourself with a dead battery, carefully inspect it before you jump start it. If the case is bulging, cracked or leaking, do not jump start it. Damaged batteries can explode or catch fire. Deeply discharged batteries can freeze. Do not jump start a frozen battery. At West Coast Rovers, we provide quality automotive service including brake service, tire rotation and winter preparation. It’s important for LAKE FOREST drivers to know battery basics. First, let’s talk about which is harder on a battery – hot or cold CA weather. Most Irvine auto owners think it’s cold weather because that’s when we call on our batteries to have enough power to start a cold minivan engine. However, heat does more damage to a battery than cold. Truth is, our batteries start to die a little from day one. Keeping a full charge slows the process, which is hard with short LAKE FOREST trips because the alternator doesn’t have time to fully recharge the battery from starting the engine. LAKE FOREST auto owners can top off the charge with a computer controlled battery charger – say, once a month in the CA summer and every three months during the winter. As far as how long a battery will last, statistics show that 70% have given up the ghost within four years. By that time, they aren’t capable of taking a full charge like they used to, and your minivan alternator has to work overtime to keep up. This causes your alternator to wear out early. 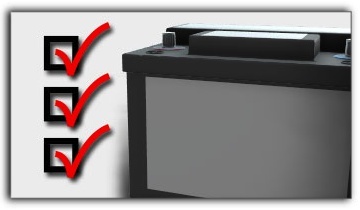 If you’re pushing 4 to 5 years on your battery, see your thoughtful West Coast Rovers service professional for a battery test to see if it’s recommended to replace it. Not only can you avoid getting stranded with a dead battery, but you’ll save unnecessary wear and tear on your minivan alternator.